They may not be as powerful as their desktop counterparts. But by going with you, mobile apps can help you find inspiration and creativity in moments that would otherwise be lost. And mobile drum machine app iMaschine adds two subtle features that mean a lot more possibility – or at least takes a step in the right direction. iMaschine 1.2, released at the end of last week, adds integration for both Audiobus and Apple’s own Inter App Audio (the latter less-widely implemented, but used in popular apps like GarageBand). 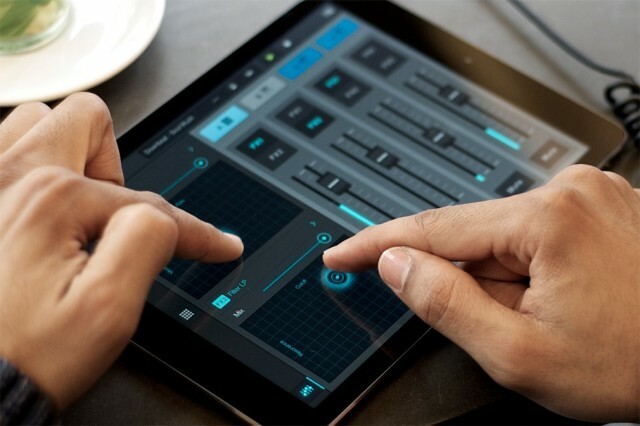 The upshot: you can now combine Native Instruments’ mobile drum machine workstation with other apps. Also, iMaschine added a long-overdue feature: you can now non-destructively set sample start and stop positions. I’ve been griping about this since the very first release (loop points came first). Inter-app support is also useful. What you can do with this: stream audio from iMaschine to other apps, add custom effects on output, and record output into other tools (like a mobile DAW). You can also control the transport and sync from another app (transport sync only on iPhone). We recently updated WretchUp by Mouse on Mars to incorporate full Audiobus support, and that effect sounds really wild on percussion parts, so I’m already playing around. Now, what you can’t do: iMaschine acts as a source, but not a filter; you can’t record another app into iMaschine. That’s too bad, as a key workflow would have been to built new iMaschine parts out of sounds you make with other apps. AudioCopy would do the job, too – but there’s no AudioCopy support in iMaschine. (If your app supports iTunes export, you can bring it in that way, but… that isn’t really much fun any more.) I do hope Native Instruments adds additional support. Rival mobile app iMPC Pro does have AudioCopy support, so if you’re looking to build kits out of sounds made with other apps, that’s probably your best choice. Now, iMPC also has the same limitation in its Audiobus / IAA implementation, though one user on their forums has found a hack that acts as a workaround. (I believe that’d also work with iMaschine, if you like.) Still, while it’s more complex to implement, I think this “power feature” would be huge for mobile workflows. Still, let’s not get hung up on features. For a few bucks, these apps do amazing things, and just one of them might well justify an iPad purchase – let alone the galaxy of useful music tools on them. Apple produced a lovely video profile of Yaoband, the Chinese band, as they move on the road. It might look silly, but any of us mobile sound junkies will find scenarios like making drum kits out of babbling brooks realistic. You’ll see that, facing the choice between iMPC from Retronyms/AKAI, and iMaschine from Native Instruments, the band simply chose both.